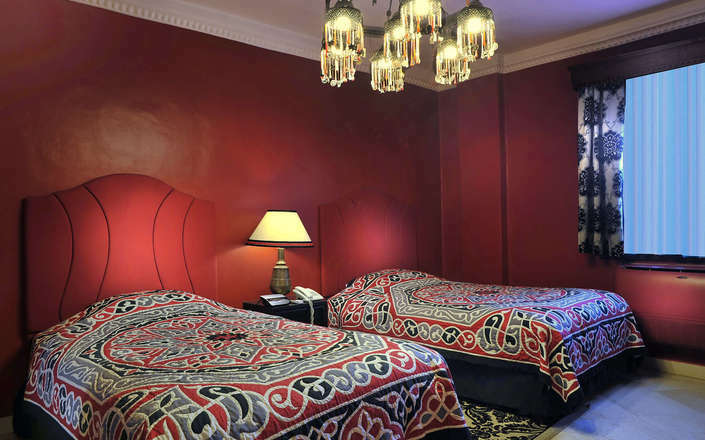 Tucked away in the atmospheric heart of medieval Cairo, within walking distance of the city’s vibrant Khan El Khalili bazaar, Le Riad Hotel De Charme is the only hotel in the Egyptian capital to offer an authentic 1001 Nights experience. 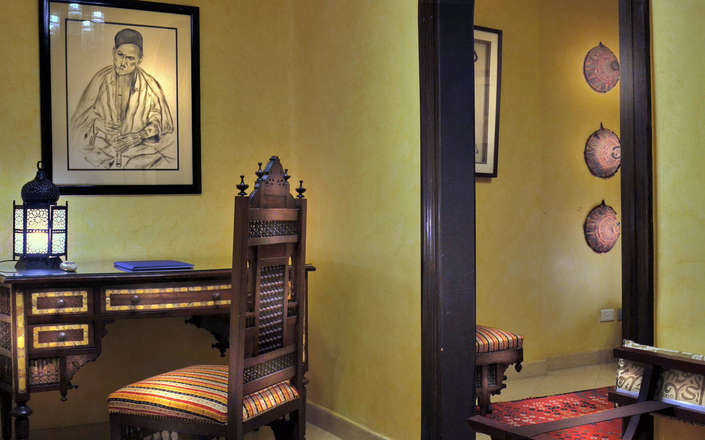 Called the “coolest small hotel in Cairo” by The Guardian newspaper, this stylish boutique property is decorated to blend in with the stunning Fatimid architecture that is on Le Riad’s doorstep. 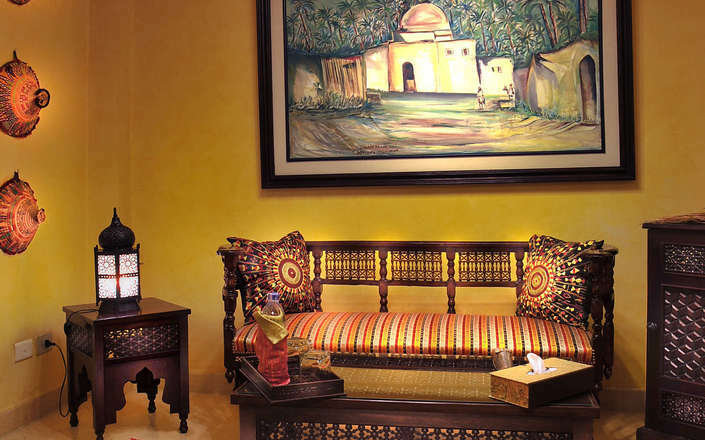 The 17 generously sized suites (8 with balconies) have rich warm colours and interiors inspired by themes from Egyptian history. 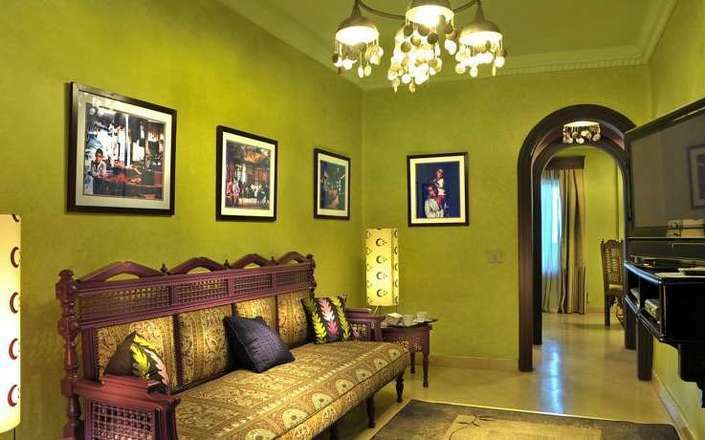 Each suite is air-conditioned and adorned with traditional fabrics, coloured glass chandeliers, local art and antique furniture. 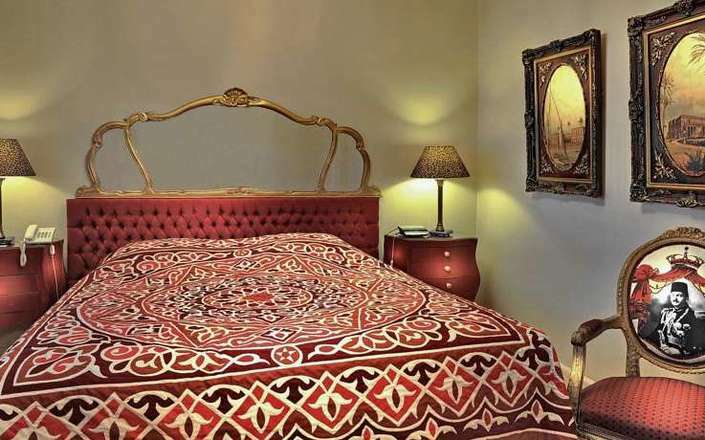 All benefit from beautiful sitting rooms and luxurious marble bathrooms as well as having the finest Egyptian linens, flat screen televisions, and complimentary Wi-Fi access. 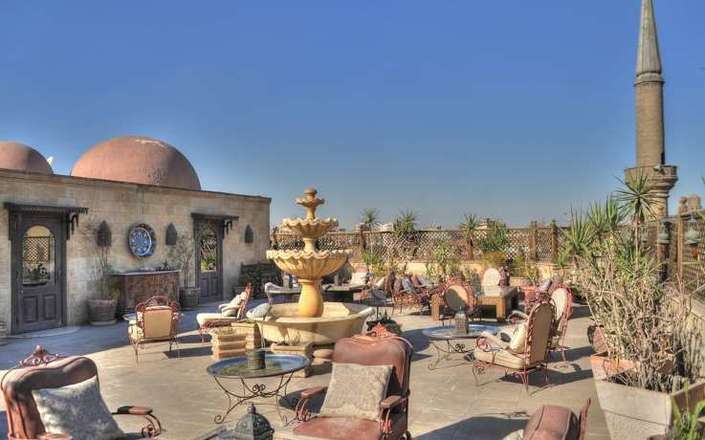 A lift takes guests up to a magical rooftop garden and terrace where you can relax in oriental splendour, sip freshly prepared drinks, and enjoy panoramic views over Cairo’s elegant minarets and domes. 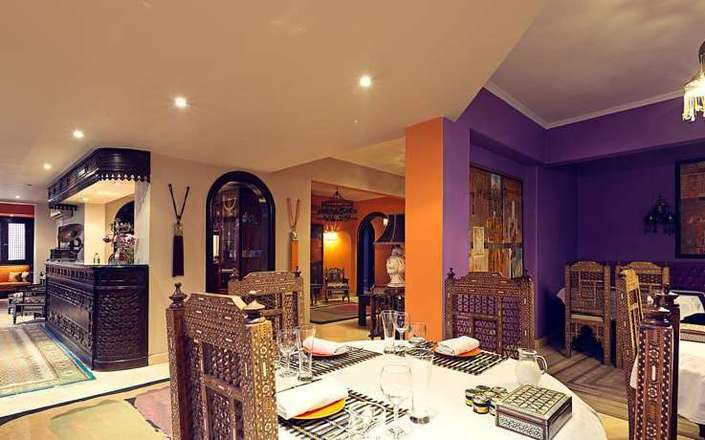 Breakfast is also served up here, while on the first floor there is lounge serving tea. 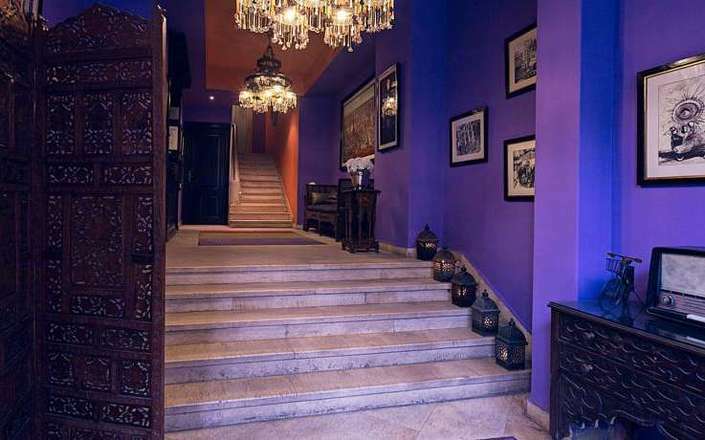 Dinner is not provided at the Le Riad but there are a number of options nearby including the excellent Naguib Mahfouz restaurant which is operated by Oberoi Hotels. 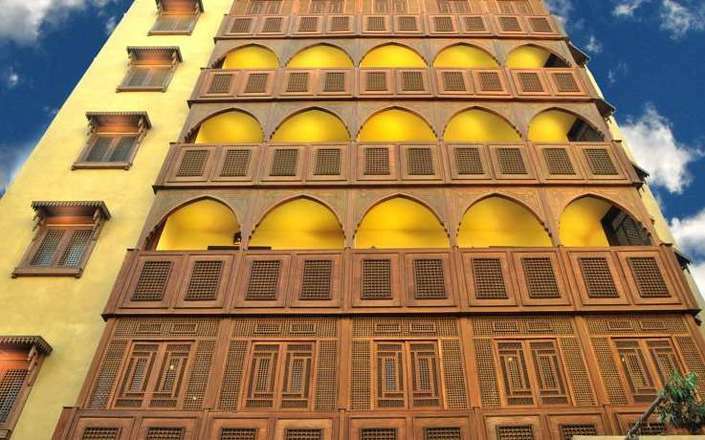 Guests at Le Riad Hotel de Charme should be aware that the mosques in the surrounding area will provide an early morning wake-up call and that the hotel doesn’t serve alcohol.